You know those weeks where everything goes more wrong than right? Maybe some boo boos happened at work, or you had to walk home in the rain without an umbrella, or you got a flat tire, or you’re running on relatively little sleep, or you flaunted bare legs expecting 60 degree temps when it dropped to the 30s, or you witnessed a borderline-fist-fight on your bus, or left your shampoo and conditioner at the gym and it’s taken you 4 days to replenish so you’ve been washing your hair with hotel samples – just to name a few things that might sour this Hungry Texans’ week. 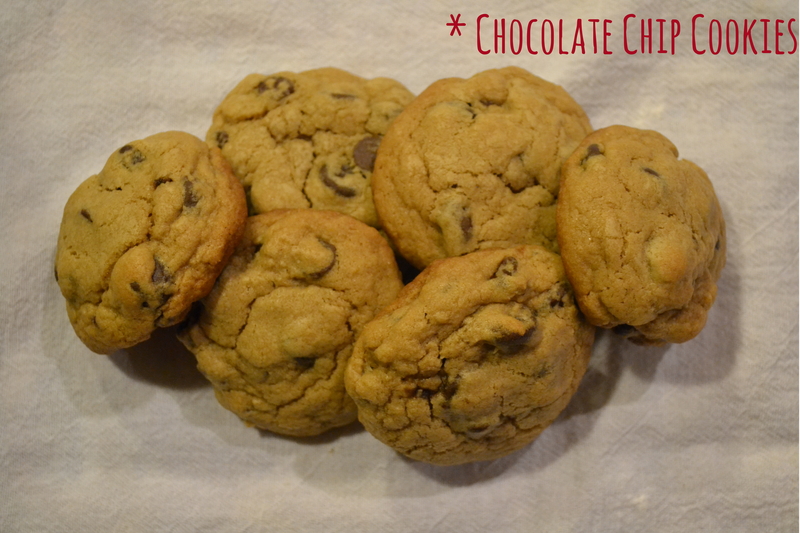 What better way to turn a sour week sweet than a comforting batch of chocolate chip cookies? I made these cookies attempting to emulate Levain Bakery’s quarter pound cookies (out of this world!). Mine were far shy of a quarter pound (although 2 cookies deep & plenty of cookie dough later, I might be close to a quarter pound consumed). The beauty of these cookies is they combine the best of both worlds – crispy on the outside, soft and gooey on the inside. Yum! Yum! 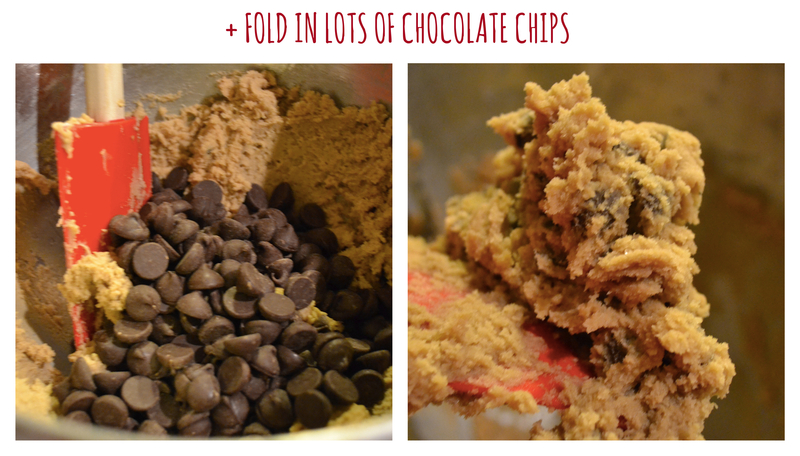 Whip up a batch (this is a half batch) and watch all your sorrows melt away. 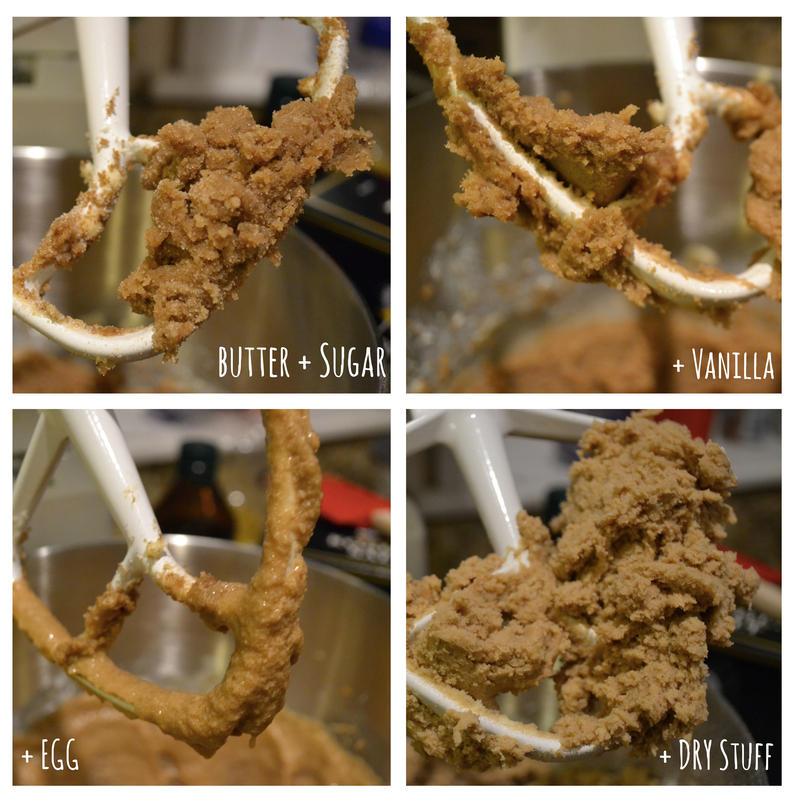 In the bowl of a stand mixer start by creaming together your butter and both sugars. Add your vanilla. Add an egg. Add your dry ingredients. 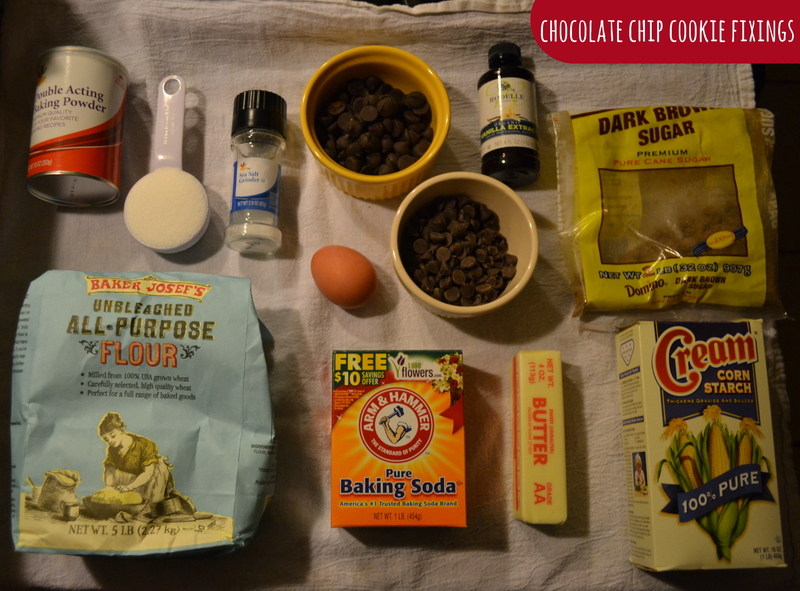 Remove the bowl from the stand mixer, remove the paddle attachment, and fold in your chocolate chips. 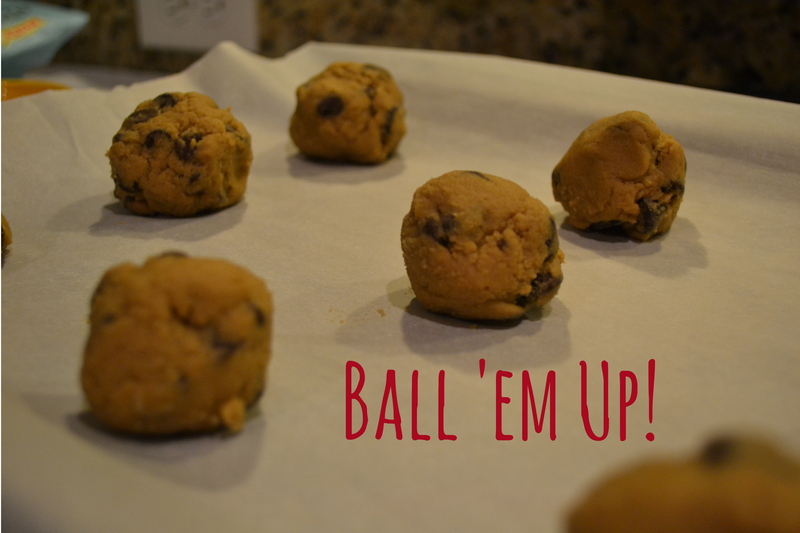 Start balling your dough (think golf ball size or bigger)– don’t pack them too tight & your dough balls can be a little sloppy — and place cookies on a parchment lined cookie sheet. Put your balled dough in the freezer to chill for 10-15 minutes while you preheat your oven to 350. Bake for 20-25 minutes. Don’t be scared to take these guys out while they’re still a little soft. They’ll harden as they cool and taking them out early will help ensure a nice rare center.